The First and Main Office Building is a $100 million, 15-story office tower in the downtown Portland core with views of the waterfront as well as downtown open spaces. The building received LEED Platinum Certification and offers unique amenities, including a large- bike hub, as well a 13,000 s.f. of extensive ecoroof and a 15,000 square foot rooftop terrace. 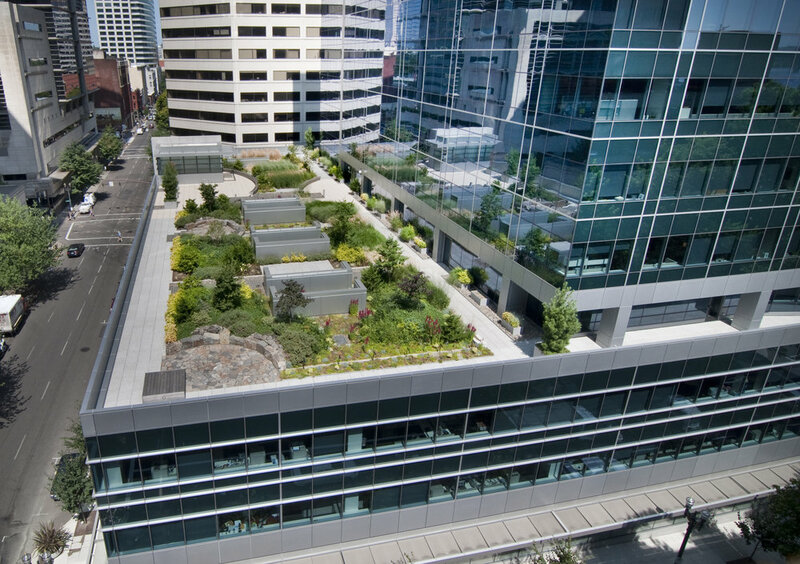 Both of these amenities work to achieve the stormwater management strategies, as well as provide habitat, reduce heat island effect, and provide a pleasant place to relax for office workers. Included in the terrace is a large open plaza zone, looping pathway for exercise, and large planters with a range of lush vegetation. 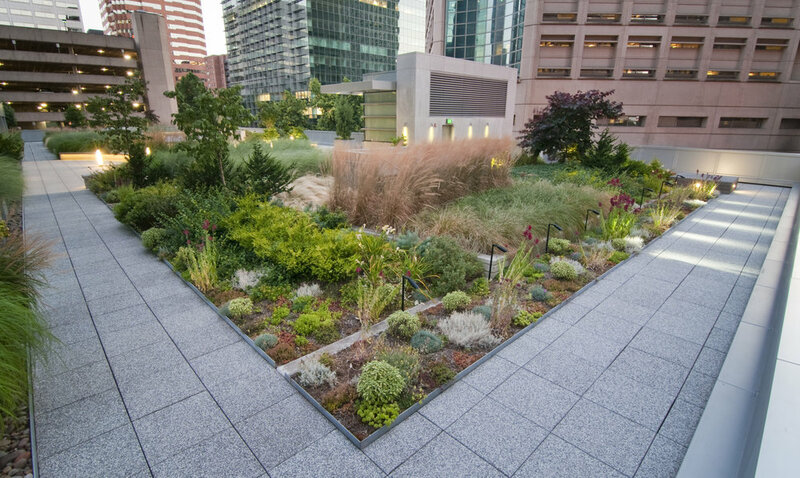 Acting as an oasis in the city, these spaces add to the sustainability and marketability of this high-profile project which includes highly-efficient irrigation, quality materials, and innovative design.